What sets a business laptop apart from other machines? 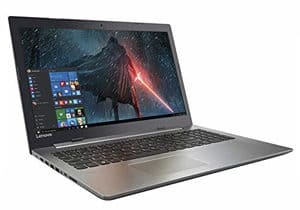 What features do I absolutely need for an office laptop? What pitfalls should I look out for when shopping for a business notebook? No matter what business you run, a computer is going to be a necessity. Adding in the portability of a laptop makes you more mobile and more effective at getting your job done. You don’t want a sub-par machine keeping customers waiting or freezing up during work presentations. Below we’ve rounded up eight of the current best business laptops available covering every possible usage from small business to enterprise office settings. A local coffee shop or bakery looking to accept credit card swipes on a 2-in-1 has very different needs than an office that requires a fleet of high end computers. Whether you only have a few hundred dollars to spend or can drop thousands on a large order of dozens of machines, there are still key features to look out for before buying. From physical storage space to HDMI ports for using external displays, every business laptop is going to feature pros and cons. We can help you narrow down your choices and focus on which specific features are most critical to your business. Want to jump to a specific category? Check out each of our contenders in the list below, or scroll down to get started looking what what’s available in every price range and style! 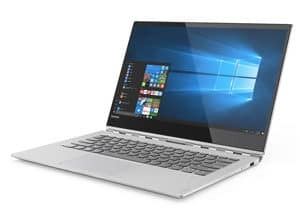 What features do I absolutely need in a business laptop? Need a top-of-the-line machine for your office with amazing screen resolution, low weight, and plenty of power? This should be your pick, so long as you don’t mind the lower angle of the webcam. 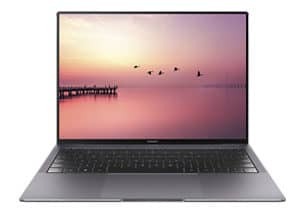 Hands down, the Huawei MateBook X Pro is one of the best portable computers on the market in 2018. While its a killer choice for home users, it has some amazing features for an office environment as well. The big draw here is that you get the signature edition of Windows. That means absolutely no bloatware, and for a business setting, that’s a major plus. Your IT guys won’t need to spend time uninstalling useless features that eat up memory. With the MateBook, you also get a full day’s worth of battery on a single charge at 12 – 15 hours depending on usage. Security is always a concern in a business environment, and that’s why you should be on the lookout for the fingerprint reader. With this tech, you ensure no unauthorized users are logging into your office laptops. In terms of raw specs, you get a bit of everything here as well. There’s tons of power under the hood for running any application your business might need. There’s really only one main downside to keep in mind that could be a deal breaker. The webcam is secured within the machine, so you actually have to tap the cam to bring it up. While that’s a nifty security feature, it means the webcam is placed at the bottom of the screen rather than the top. If you take part in daily video conferences, that can get annoying as the bottom angle isn’t as useful for long video chats. Want the best possible specs with lots of ports for connecting to external devices at a very low cost? 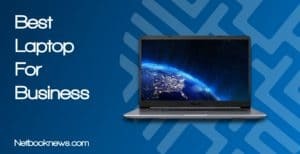 This should be your pick for the best business laptop! Need a business class machine but don’t have a bunch of extra capital available to spend? This Lenovo model isn’t just under a thousand, it’s way, way under a thousand! To reach that budget pricing, you have to give up a few features. Depending on your work requirements, you may not need them anyway and won’t miss them here. Many business settings just flat out don’t need a touch screen, but they do need more viewing area. That’s what you get with the IdeaPad’s traditional clamshell design and a 17 inch screen. This model also features a wide array of ports for connecting peripherals or hooking up to external displays for presentations. If you still run any disc-based installation program for your business, don’t forget you still get an optical drive as well. Aside from ports and screen size, the main draw here is the 1TB SSD. You won’t run out of storage space for your work projects, and you get the faster solid state drive technology. Two main downsides should be considered before going this route. First up, a 17 inch screen means you get a heavier laptop. If you take this thing on business flights often, the reduced portability is going to get annoying. Second, you only get about five hours on a charge, so you will need to plug in at some point during the work day. Looking for something a bit more compact instead? The Lenovo ThinkPad T480 is only 14 inches but offers similar specs. Need an awesome laptop that can handle any task on the go? This should be your pick for the best portable laptop to take while traveling on business! We’ve mentioned different versions of the Spectre in some of our other articles before, and for very good reason. 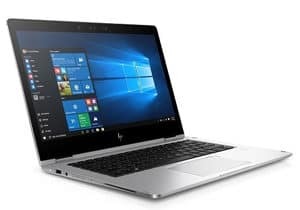 If you want a business machine rather than a gaming rig, HP’s offering is one of the best in class for nearly any kind of user. The Spectre hits the trifecta for a true workhorse of a machine – portable, powerful, and connective. You aren’t going to find better specs in a thin and light machine, and you can hook up to multiple monitors and printers at the same time. Besides the thin and lightweight aspects, there’s even more reason to take this model as your travel laptop. It comes with the pen stylus for working on the touch screen while on the road. The backlit keyboard is also an excellent feature if you are working on late night flights or in a dark office setting after business hours. Finally, you get excellent battery life with the Spectre. It can even compete with our contender below for the best business laptop battery. If you live outside the U.S. this may not be your best choice, however. One frequent complaint from international buyers is that the warranty doesn’t cover much in other countries. Want great specs, a touch screen, and an all-day battery life? 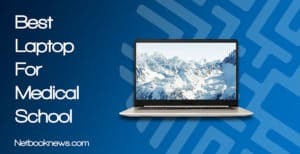 This should be your top pick for the best business laptop! To get the best battery life in a computer, you usually want to look for something with a smaller screen. Ditching the dedicated graphics card is also a great way to reduce power consumption. Portable 2-in-1 machines also tend to have higher battery life, since they are designed less like a laptop and more like a tablet. For business applications, HP’s Elitebook is one of the best options with an all-day battery life. Although you are likely to get less than their estimated 16 hours, for most business tasks you won’t need to charge at any point during the work day. When looking at specs, keep in mind that manufacturers provide “estimated” battery life based on minimum usage with display brightness turned down. Always look at what the real users are saying about the battery life in reviews! Streaming videos, working on spreadsheets, and running design software will all use radically different amounts of battery life. Need a great overall design that looks stunning, has multiple configurations, and comes with a top-notch screen? This should be your pick, so long as you don’t mind missing out on the SD card slot. “Best design” is definitely a subjective category, as the specific needs of any given business can vary. Are you looking for the most ports? The most vibrant display? The most portable design? How about the best keyboard layout instead? For the best overall design, we’re going with the Lenovo Yoga 920. The 2-in-1 hinge doesn’t just look pretty, but also offers a wide range of applications for different kinds of users. At just under 14 inches, the Yoga hits that sweet spot between screen size and a lightweight, thin profile. The screen quality is also absolutely top notch, with a 4K UHD display. Whether you want a traditional style laptop for typing all day or prefer to use a stylus in tablet mode, the Yoga has you covered. Two possible downsides should be kept in mind here that are often mentioned by buyers. First, there’s no card slot in this model, so if you use SD memory storage, this won’t be your best pick. The Yoga also isn’t designed with upgrading in mind. If you want a laptop that’s easy to tear open for installing new parts, you’ll need to look elsewhere. Want the absolute best hybrid laptop currently available that makes no compromises? This should be your pick, if you don’t mind learning a new keyboard layout. 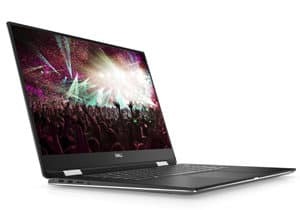 When it comes to hybrid laptops, nothing beats Dell’s XPS 15 at the moment. You don’t lose any functionality at all here with a full 15 inch screen, 360 degree hinge, and truly top-notch specs. Between the 8th gen processor and dedicated graphics card, this 2-in-1 can function as a business machine or a gaming rig for after work. The battery life is also extremely high for a unit with so much graphical power. Buyers often mention the high quality display, and the extremely narrow bevel for the most viewing space possible. You also get a stylus included, and it attaches directly to the laptop magnetically so you won’t ever lose it. Despite the near-perfection of this particular 2-in-1, there is one issue frequently mentioned by reviewers. The XPS 15 features a revamped keyboard design that some love and others hate. You get shallow keys for quiet operation, but the page up and page down buttons are located to the left and right of the arrow keys. This means you will accidentally hit the wrong key quite often while you get used to the keyboard layout. The price tag may also be prohibitive for small business operations, at well over two thousand dollars. 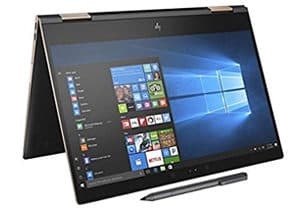 If you want something similar for half the price, take a look at the HP Spectre listed above. Want a high end Chromebook to handle basic office or point of sale tasks? This should easily be your pick. Chromebooks aren’t typically the first choice for an office or business setting, but they offer more features than you may realize. 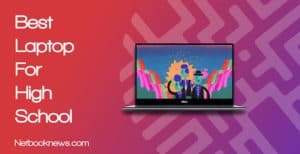 Now that Chromebooks are compatible with the Google Play store, it’s simple to download apps for accepting credit card payments and tips direct from customers. There are a few other upsides to consider by ditching Windows 10. Security is a big issue, since Chromebooks aren’t going to get infested with malware nearly as often. Acer’s Chromebook also has stellar battery life, so it can last a full workday without ever needing to plug into an outlet. That is easily the most frequently mentioned positive feature in nearly all reviews. You often find lower screen resolutions with Chromebooks, but that isn’t the case with this model. 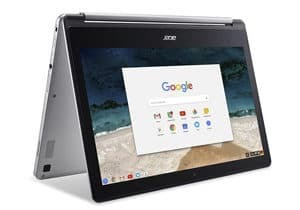 If the prefer the Chrome OS over Windows, you can’t go wrong with this pick, especially for a small business. For larger enterprises with bigger budgets, the Google Pixelbook is another high end Chromebook to consider. Want portability and power in one package without an extremely high price tag? 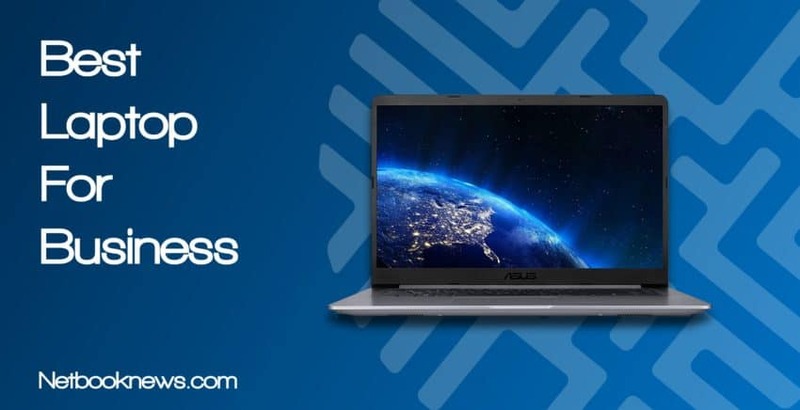 The Asus VivoBook should be your pick for best small business laptop if you don’t need a touch screen. When you need power in a small package and at a budget price, the VivoBook should be high on your list of contenders. If you are buying a laptop specifically for business purposes, then of course the purchase cost is a tax write-off in the U.S. While sporting better specs than many budget models, you still get a very high build quality here. The VivoBook features an extremely thin bezel, with a 15 inch screen packed into a 14 inch chassis. This is also a durable model, and it comes with any port you could possibly need, from HDMI to SD to USB. There are a few potential downsides to keep in mind here, like the lack of a touch screen. When you need a 2-in-1 display, you should check out the other contenders listed above instead. 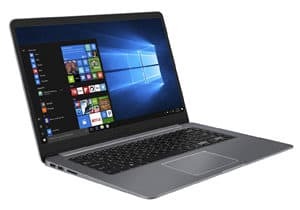 The base model of this VivoBook features an HDD instead of a solid state drive, although that may not matter in many small business applications. If you find the data transfer with an HDD is too slow, an upgraded version of this model with an SSD is available for an extra $100. Reviewers frequently mention two features that may make this model less attractive to you based on some personal keyboard preferences. The power button is built-into the keyboard and next to the delete key, which isn’t an ideal location. This model also lacks a caps lock indicator light, so you may have to tab the caps key more often than normal. 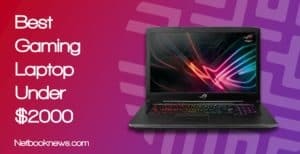 In many cases, buyers are looking for the same things whether they need a work laptop, school notebook, or gaming computer. In 2018, you should always be on the lookout for an 8th gen processor, at least 8GB of RAM, and a solid state drive whenever possible. From there, some key differences can set a business machine apart from a laptop for home or school use. Security features are often more prevalent in business-class laptops. Fingerprint readers are usually featured in these models, and you can expect higher end anti-virus software to come pre-loaded. You don’t want your computer lagging while a customer is waiting, so getting rid of the bloatware is a huge bonus. Finally, business laptops usually (but not always) have a focus on battery life. You don’t want to have to stop your business meeting to find a plug in in the middle of a presentation. The exact nature of your business will often necessitate radically different features when picking a computer. A local small business for instance can probably get away with a Chromebook with no storage space in many cases. This is especially true if they are just using the device to swipe credit cards and save spreadsheets in the cloud. For any other type of office or business setting, you want high speeds and plenty of storage space with a solid state drive. If video conferencing is a major component of your weekly work schedule, make sure to check the reviews on the laptop’s webcam before buying! 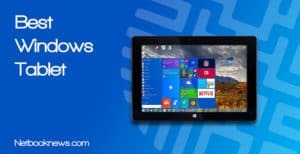 In terms of operating system choices, Windows 10 Pro isn’t as much of a necessity as you might imagine for most businesses. There are some notable exceptions, however. For larger enterprises with IT departments, Windows 10 Pro makes it easier for the tech guys to keep track of each computer and diagnose problems remotely. Finally, take into account what extra software is included with your computer. Business laptops often offer bundles with Microsoft Office, which can save you money in the long term if you use that suite of programs. Take stock of your business software before making a buying decision. Some businesses are still using legacy software that actually run better in Window 7 or 8 with older processors. In that case, you may want to go with one of the best 2015 – 2017 business laptops instead of the latest models. Also be on the lookout for reviewers who actually utilized a laptop in a business setting for more than just a few weeks. In particular, the battery life can be much different than what is actually listed on the spec sheet. If you need a laptop that lasts all day, you may need to tweak the settings by turning off programs running in the background. Reducing the screen brightness is also a big help in maintaining 8+ hours of battery life. From slim and lightweight 2-in-1 hybrids to large 17 inch models with extra ports, there’s no shortage of options when looking for the best business laptop. Did you find the right machine for your business in our roundup of contenders? Let us know what you think of our picks, and be sure to drop a comment if you notice any better models we didn’t list here!